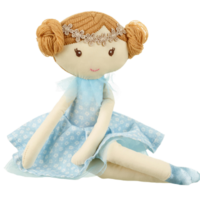 This beautiful rag doll is perfect for both cuddles and pretend play! 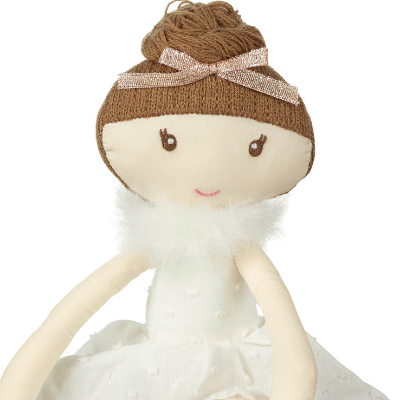 Lily is a pretty little doll, with lovely woollen hair. A white dress made from textured cotton with an organza petticoat. The dress also features a soft and fluffy neck detailing. Gold glittery shoes on her feet and a sparkly ribbon in her hair. 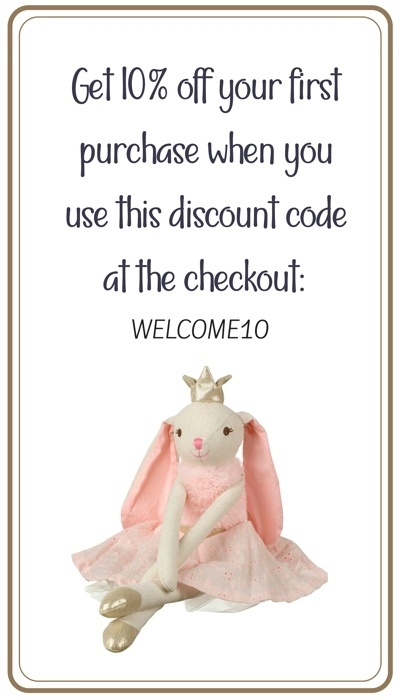 The mix of fabrics and textures makes Lily a lovely tactile doll! 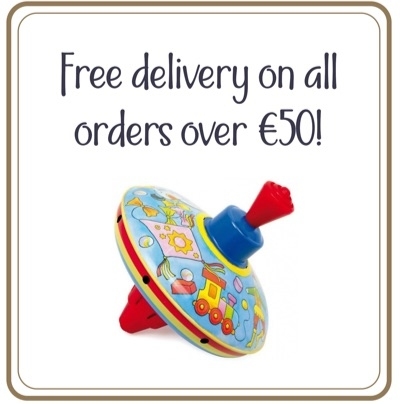 Her petite size makes her ideal for tiny hands to hold and play with! Playing with dolls enhances fine motor skills, as well as speech and language skills. Dolls are also great for creative role-playing, which boosts social-emotional development.